Nearly Six sites in east London have been identified for the deployment of supersonic surface to air Rapier and Starstreak missiles, these missiles are capable of shooting down an air borne target within the range of nearly 7 KM (approx. 4 miles). The unusual thing in this news is the installation of missiles in the residential area on the rooftop of the occupied homes. Ten soldiers will operate the weapons at all times, possibly with armed police protection. The property owners defended their decision of allowing the ministry of defence to place missiles on the rooftop by making it an issue of national security. However, Some residents fear that the super sonic missiles which would be fitted on the water tower could itself become the target of the extremists or terrorists thus risking the lives of many residents. Residents of Bow Quarter Estate are challenging the deal between the property owner company and the Ministry of Defence to install surface-to-air missiles to guard against potential airborne terrorist attacks. Many lawyers and legal agencies have opened up to help such residents with full support providing them the toll free 0800 numbers uk service. Normally all the cities prepare themselves to face the worst in the situation of any terrorist attack, however London is all set to get fortified and militarized to an extent which was seen only during second world war. 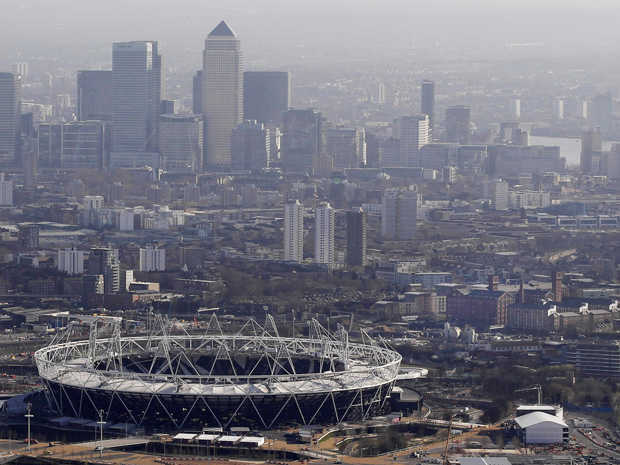 During the Olympics, London will have more soldiers on the streets than at any time since the Second World War and that there will be more armed personnel patrolling the capital than the entire number of British troops serving in Afghanistan. Which is way too large than what was in the Beijing Olympics. Militarization of London to this extent could be justified since NATO and other western powers which includes Britain have been involved in various military interventions in Middle East since last few years. Resulting into rising threats against London’s security. But conducting games, which is a source of entertainment, in such a tight environment doesn’t solve the purpose of holding games. Other than Bow Area, sites where missiles hosting is planned are Blackheath Common, the Lea Valley Reservoir, Oxleas Wood, Barn Hill in Epping Forest, and a playground in Waltham Forest. Founder of the Stop the Olympic Missile campaign Chris Nineham, told Russia Today that there had been no consultation from the Ministry of Defence or the Government with locals. He said that a meeting of local residents on May 31st voted unanimously that the missile plans were not sensible. Nineham believes that the government should not be able to dictate to local residents and is hoping that their campaign will see a reversal of the proposal. He added that if the government did not back down there were two legal challenges already in place. According to Nineham, a senior source in the military said there was no credible intelligence of a terrorist attack on the games. Nineham said that in his opinion such a large scale deployment of force does not make London safer but instead encourages a reaction from those elements of world society who have a grievance with UK foreign policy. The idea is to prevent London Olympics from any September 11 style attack. For this, beside having Surface to Air missile installations, ministry of defence is planning to have the Royal Air Force to keep an eagle eye on all aircraft movements over most of southeast England in a major security alert to run from July 16 through August 15. Also, military snipers will be deployed in helicopters to shoot pilots of low-flying aircraft that might be involved in terrorist attacks. Divided Kingdom: Scotland to Leave Great Britain? Last April the European Parliament and the European Council confirmed at the final agreement for the creation of the European Travel Information and Authorization System (ETIAS), a registration system for all visitors from third countries that are now exempt from visa. In order to strengthen border security, the European Commission proposed the creation of this system which will enter into full operation in 2021. The ETIAS authorisation is not a visa. Once operational, it will carry out pre-travel screening for security and migration risks of travellers benefiting from visa-free access to the Schengen area. When arriving at the EU borders, travellers from the United States of America will need to have both a valid travel document and an ETIAS authorisation. What countries will require it? The ETIAS will facilitate access to countries within the Schengen Area to travelers from third countries that do not currently require a visa in order to improve security and to prevent irregular immigration. Therefore, to know if you need to use ETIAS or not, you will first have to find out if the country you want to visit falls within the Schengen Area, and you will also need to know if your country was visa-exempt until now. It is important to remember that not all 28 countries of the European Union (EU) are part of the Schengen Area and that not all Schengen countries are part of the European Union. Great Britain and Ireland, for example, are part of the EU (Great Britain is scheduled to leave after Brexit), but not the Schengen Area; while Norway, Switzerland, Iceland and Liechtenstein are part of the Schengen Area, but not members of the EU. Therefore, an ETIAS waiver will be required to visit the following countries: Germany, Austria, Belgium, Denmark, Slovakia, Slovenia, Spain, Estonia, Finland, France, Greece, Hungary, Iceland, Italy, Latvia, Liechtenstein, Lithuania, Luxembourg, Malta, Norway, Holland, Poland, Portugal, Czech Republic, Sweden and Switzerland. Countries’ citizens who will need to apply for ETIAS. As stated above, ETIAS will be required to travelers from countries that do not require a visa. Currently, individuals from the following 57 countries do not require Schengen visas to visit countries in the European Union. However, with the arrival of ETIAS expected in 2021, passport holders of these countries will require an ETIAS waiver to travel to Europe for the purposes of tourism, business or transit for a short 90 days stay in any 180-day period. Prior to traveling, those interested in acquiring an ETIAS waiver must fill out an online application providing with basic information (name, age, occupation, passport number, country of entry in Europe). In addition, they must answer a few questions on safety and health issues, among others. Approval often takes minutes once your ETIAS application is complete, and the maximum amount of time for approval is only four days. All you need to apply is a valid Passport, a credit or debit card to pay the fee and a completed ETIAS application. Since it’s a visa waiver, you won’t need any further paperwork. And, unlike visa applications, ETIAS doesn’t require an interview at any embassy or consulate. The ETIAS application form is already available online, although its use won’t enter into force until 2021. You can apply for your ETIAS until 5 days before your trip, but the sooner you start the process, the better. Once in the application form, you’ll be prompted to provide your passport details and asked to answer a list of security questions. It’s vital that your application be error-free and that the information is an exact match to your passport. Any discrepancies between your ETIAS application and your passport could cause a delay in processing and/or approval You’ll also need a credit or debit card to complete the process. Once you’re finished, the form is submitted immediately and you will receive an email with the information of you of approval status. You should receive the email within minutes, although sometimes issues on approval status could take up to four days to be sorted out. Each applicant over 18 years old will have to pay a 5€ travel authorization fee. The payment must be done online during the application process. How long can I use it for and when does it expire? The ETIAS can be used for stays up to 90 days in a period of 180 days. The travel purposes covered by ETIAS are tourism, short-term business such or conference and qualifying medical procedures. Your approved ETIAS will last for three years, but it might expire sooner if your passport does. You will have to re-apply for ETIAS when you get a new passport. For more than half a century McDonald’s has been a recognisable brand in just about every country you can think of. According to its website, the chain has restaurants in 101 countries. Its 36,000+ restaurants serve around 69 million fast food fans every single day. With stats like this, and McDonald’s easily recognised by just about anybody, the recent EU trade mark ruling has surprised many. McDonald’s has just lost its EU trade mark for the Big Mac in what is dubbed a ‘David and Goliath’ battle with a small Irish chain. How did McDonald’s lose its Big Mac EU trade mark? When Supermac’s took on the might of McDonald’s in a trade mark battle, it was assumed by many that the smaller chain would lose. While Supermac’s may not be a household name in the UK, however, it’s much loved in Ireland. Now the largest fast food chain in Ireland, Supermac’s began in 1978 and today has more than 110 franchises and restaurants all over the country. Founded by Pat and Una McDonagh, it was named after his nickname, ‘Supermac’ when he played Gaelic football. They also own Claddagh Irish Pubs & Restaurants through Supermac’s Ireland Ltd.
Supermac’s has been locked into an ongoing fight with McDonald’s since 2015, when it announced plans to expand into the EU and UK. McDonald’s initially objected to Supermac’s registering a number of trade marks for products and its name. They argued that the names McDonald’s and Supermac’s are too similar and would cause customer confusion. McDonald’s further argued that the Supermac’s brand name is visually too similar to their trade mark. Supermac’s responded by pointing out that they had happily traded at the same time as McDonald’s in Ireland for more than 30 years with no signs of confusion on the part of customers. Initially, McDonald’s won a part-victory when the European Union’s Office for Harmonisation in the Internal Market (OHIM) decided that Supermac can continue to trade in its own name within the EU. However, it rejected the Irish company’s trade mark applications for various products and menu items, saying that consumers might “be confused as to whether Supermac’s is a new version of McDonald’s”, given that there are near-identical products sold by both restaurant chains. In January 2019, the European Union Intellectual Property Office (EUIPO) made a decision that allows victory to Supermac’s after all. By ruling that EU trade marks owned by McDonald’s are to be revoked, Supermac’s is clear to expand into the rest of the EU. The landmark decision went into effect immediately, on the basis that the EUIPO rules that McDonald’s had failed to prove “genuine use” of its Big Mac trade mark as a restaurant or menu item. In April 2017, Supermac’s requested that the EUIPO cancel McDonald’s trade mark for ‘Big Mac’ and ‘Mc’. The chain also accused the US giant of “trade mark bullying” by registering and gaining protection for names, but not actually using them to stamp down any potential competition. On its part, McDonald’s legal representatives provided signed affidavits from high level executives and showed examples of packaging and adverts to demonstrate it serves Big Macs right across the EU, and therefore deserves to retain the EU trade mark for that specific product. However, the EUIPO deemed this “insufficient” in its judgement. As trade marks are registered at national level and at the EU, McDonald’s does not lose all of its protection for the Big Mac. They also have the right to appeal, which we suspect they are likely to do. A representative from EIP, an intellectual property law firm, Carissa-Kendall Windless, says: “This decision is a significant one, partly because it serves as a warning to multinational companies that they can no longer simply file trade mark applications without a genuine intention to use it”. It’s inevitable that McDonald’s will exercise its right to appeal, and it will be interesting to see how this David and Goliath battle goes on this year.